Original Christmas Gift? Buy / Name a Star @ Online Star Register! Need a Christmas gift? Name a star! Feel good knowing you’ve given the most original Christmas gift in the universe! OSR is my tip for a great Christmas gift! I find thinking about an original Christmas present each year a challenge every time. And this year, my tip for a great Christmas present is OSR. This website normally offers the outcome for finding a present for Christmas. The nicest Christmas present is always one that has a nice idea behind it. At OSR.org, you name the coordinates of a unique star for the person of your choice online. In brief, a star from the Online Star Register easily outshines all other Christmas presents. I found this Xmas gift online thanks to a tip from my director. I had been looking for a beautiful gift to give for Christmas for ages. We had decided to draw lots with the whole family. I drew my niece, with whom I have a special connection. She has meant a lot to me in the last year. Because of this, I wanted to find a really special Xmas gift for her. There are countless Christmas gifts out there, but I was looking for that truly special one. You can not only name the coordinates on this website, but can also write a personal text. I made grateful use of this opportunity! Two days before Christmas, I had the wonderfully wrapped gift in my hands. It looked really festive under the Christmas tree. My niece has got a beautiful place of ‘honour’ in the sky. She was very happy with this Christmas gift! I just wanted to let you know how happy I am with my personalized Christmas gift. I received the Christmas star gift from my Mom this year. As soon as I opened my package, I was happy and touched by her gesture. This unique gift to me will be one of my best Christmas memories for years to come. I recommend your website to everyone looking to buy a Special Christmas gift for their loved ones. Last year I was given a star as a Christmas present. That was simply done, because at the Online Star Register you can name the coordinates of a unique star after a person of your choice online. Once under the tree, this Christmas present was an immediate eye-catcher! 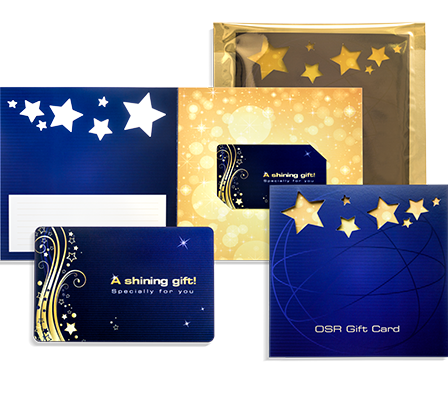 I therefore recommend Online Star Register, not just for Christmas, but as a present for every occasion. Like every year, my husband and I will be spending Christmas with the whole family at the ‘de Twente Bes’ campsite in Enschede, great for taking some time off around the holidays. This year I again found it really difficult to think of a Christmas present for my husband. Thinking of a Christmas present for your boyfriend or husband is like trying to find a tracksuit that fits properly – virtually impossible! The Christmas present my husband Leroy gave to me last year was a large, gold curb bracelet. Of course, I couldn’t be outdone. I already know that my friend Chantal had bought a star as a Christmas present for her boyfriend, so it seemed to me a good idea to follow this example. The pack was neatly delivered to our campsite and the Christmas present for my husband was a huge success! That same evening, Leroy and I looked up the coordinates in the cold, but clear, winter night. My brother bought a slightly time-worn Christmas present for his wife last year. The Christmas present for her was in particularly poor taste, and he was subsequently reminded about it for the rest of the year. Put off by this, I set about looking industriously for a Christmas present for my girlfriend. I entered "Christmas present for girlfriend" on the internet and this website popped up. When I gave the pack to her as a Christmas present, she was very impressed. It came as a total surprise to her. I couldn’t do a thing wrong after that for ages! Thank you so much… I absolutely love my unique Christmas gift from my husband on the Christmas Eve. This year Christmas gift was beyond my expectations and the nicest one so far. Imagine having a star named after me! I immediately called all my friends. They all are now insisting with their husbands to have a star named after them too. Great work and Best Regards! This year I had a Christmas present in a luxury pack sent to my home. Surprised, I quickly opened the package and straight away saw a star which is named after me. I have never received such an original Christmas present. I find having a star named especially after you for all eternity a real honour! This year, I definitely wanted to buy an original X-mas gift. At best this seemed difficult. This would be the first Christmas that Kim and I would spend in our new apartment. Since the walls in our freshly painted home are still really plain, it seemed a good idea to me to order a star. On the website, I had read that this Christmas gift consisted partly of a certificate, so this seemed a good option to fill the empty space on the wall. Our first Christmas together was a real success. The star now makes a display on the wall. Now, each time when people drop by, they want to know where I bought this super original Christmas gift. My answer is always the same: Look on OSR.org! When I was growing up, my school took a half hour each morning, a couple of weeks before Christmas, to have us all gather in the gymnasium to sing Christmas songs. It was a great way to get into the spirit of the holidays (not that I needed it) and also a great way to stop the teaching time. This is no longer a practice where I live, but the memories will always be with me. There is just something about a Christmas snow globe that I can’t resist. Everytime I see one I feel compelled to give it a vigorous shake. To my delight, I’m never disappointed with the gentle sprinkling of “snow” or glitter that showers down on the figurine inside. However, strangely enough, I don’t actually own one of these orbs-of-entertainment… until now. And the best part is I made it myself and so can you! Struggling to find the perfect Christmas gift for that special someone? There’s no gift in the universe that is more original than naming a star in the Online Star Register. The Christmas season is all about showing your friends and family how much you care. 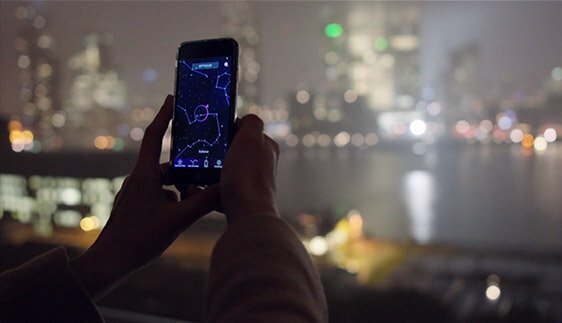 The best way to show your appreciation is by immortalizing a loved one in the night sky. 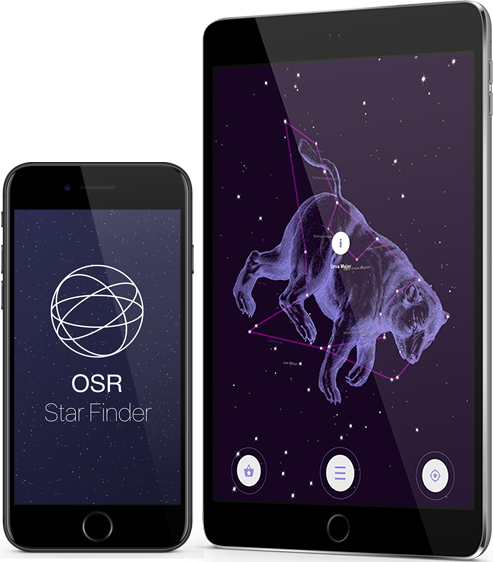 No matter which gift you choose, the star can be easily located within the breathtaking One Million Stars project and with the OSR Star Finder App. The gift is completely customizable and comes in an elegant Christmas-themed gift pack. 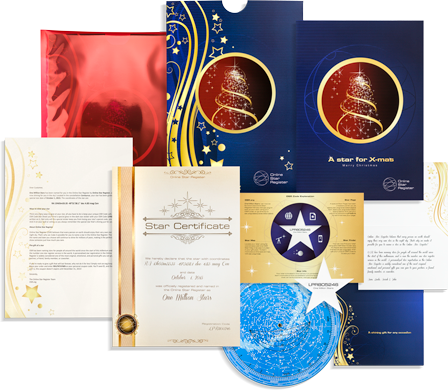 Just imagine your loved one opening a special gift on Christmas day to discover you named a star just for him or her! 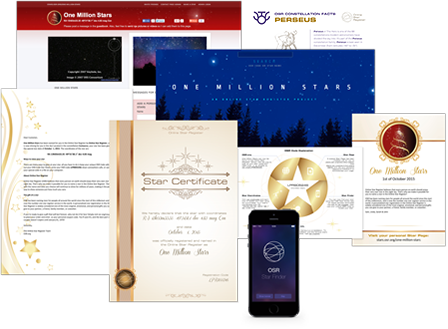 As we invent new and exciting ways to view your star, we’ll add them to your original gift package for FREE, so you can continue to locate your star in the night sky for many Christmases to come.